myEnglandTravel.com started as a project while studying in Aylesbury college. What started as a typical tourist guide to England, want to make it a travel guide for people interested in Art and History. So if you are someone who likes museums, paintings, sculptures, architecture & culture you are at the right place. Over the days (and months, and years) I want to write about all the countries I have visited so far but from these points of view and not so much about the theme parks, beaches and nightlife. Here are the countries I have visited so far which will feature in days to come. Sometimes, I’m asked what sites in England are not to be missed in an England Travel. To which I normally respond to the Trafalgar Square in London and Oxford. If you travel to England in June, don’t miss the Wimbledon. This site is born out of my own travels within and outside of England. So, all suggested itineraries that you see here are very practical. Here, you will find answers to commonly asked questions about England like what is the difference between England, Britain, Great Britain and the United Kingdom. Many outsides tend to use those terms interchangeably without realising that those are different geographies. Same happens with the Flag of England. Many people mistake Union Jack as an English flag when it’s not. Most popular city to see in Britain is obviously London. Many outsiders think that London attractions are very expensive to see. 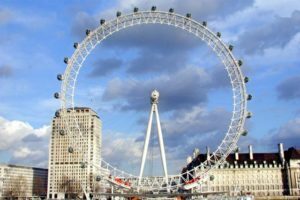 While that may be correct for some, trust me, there are several fantastic absolutely free attractions for all in London. These attractions can be visited by whole families saving you £££. There are many museums which the whole family can enjoy on a rainy day. It’s far better to visit one of those museums than sitting in the hotel moaning about English weather! Also, check out this London itinerary to help with better travel planning. It has itineraries from one day to several days. Now a bit about England trains. They are again expensive but if you follow these tips to buy cheaper tickets for the train, then you can again save. If you have traveled on a metro train anywhere else in the World, then you will find understanding London metro map fairly easy. You may find this guide on how to read London tube map useful. If you have a limited time in England, then you will find one England travel itinerary here useful. There are several maps of key attractions in London and other places. We will soon also have a London travel mobile app to help you with your travel planning. There is a county wise clickable map of England that will come handy to see attractions near your base town. For each of the county, you can find out the things to do and places to see. One of the great British traditions is the afternoon tea. In this guide, you will find selected top places for afternoon tea. If you wish to take a caravan, see individual county pages for a list of caravan travel places. If you are on a business travel, you will find the section on the famous English manners and etiquettes very useful. It includes useful tips about Dos and Don’ts in England. Weather in England is very predictable. It will rain in any month and it can get cold at any time. Generally speaking, July and August are the best months to visit England due to long days and less cold. Although England does have a coastline and there are beautiful places & towns with beaches, swimming is probably not practical in many places due to cold water and cold weather. However, during July and August, there may be days when you will be able to enjoy lying on the beach. If you are a history and culture lover, you would absolutely love time spent in England. England has a rich history, culture, and traditions which date back centuries. Tourists coming over from the USA will find several similarities as well as differences. There are several practical differences between England and the USA, driving being one. Some people claim we have different languages as well! Tourists from India will find Britain very close to home. They will have several options to have Indian food all over the UK. Those who have seen Victoria Terminus in Mumbai will not find central London too different from Fort area. People coming from continental Europe have easy access to London on Eurostar or buses or cheap flights to one of the London airports like Gatwick or Stansted. Most common complain from European friends is why there are separate taps for hot and cold water! While you can find many fine accommodations while traveling, timeshare rentals offer some of the more convenient and comfortable places to stay. Travelers don’t have to settle for hotels and if you travel to the same locations consider timeshares for sale as a travel alternative.